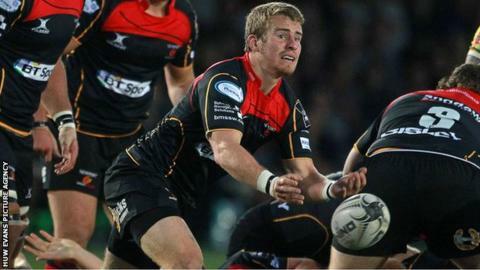 Scrum-half Jonathan Evans is to leave Newport Gwent Dragons at the end of the 2014-15 season. The 22-year-old has made 73 appearances since making his debut against Ospreys in 2010. "We are sad to see Jonathan leave us but we wish him all the best," said director of rugby Lyn Jones. "He still has a lot of game time left with us at the Dragons and I hope that he intends on leaving the club on a high note."